Pastor Peter Haneef, president of the ALG Church (umbrella for the many Bibles for Mideast churches) has a special prayer request for visitors to this website and supporters of the work and ministries of Bibles for Mideast. “Kindly pray as our church wants to distribute 30,000 bibles in Arabic, Urdu and other Asian and African languages before the end of this year,” he asks. He and all of us know we cannot do this—any of it—without the help of praying, generous Christians. 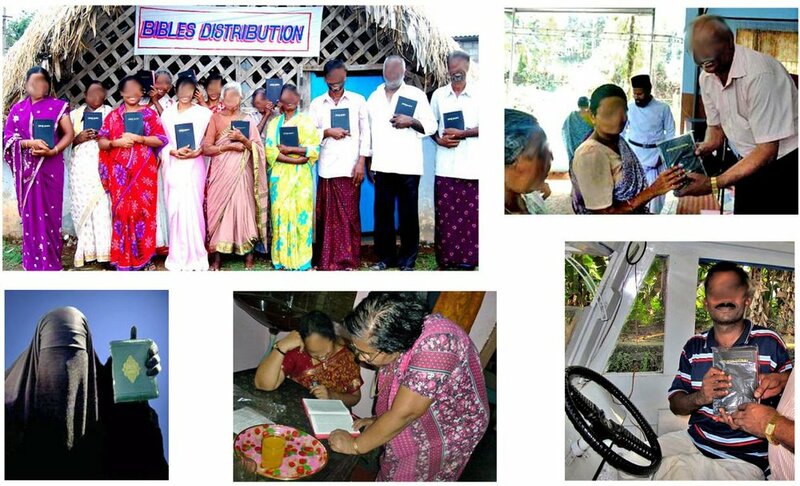 If the Holy Spirit leads you to participate with this Bible Distribution Ministry, please click here. Pastor Peter himself knows better than most the mighty power of prayer, having himself had a dramatic conversion from Islamic extremism (From radical Islamic murderer to ardent leader in the Kingdom of Jesus). Now leading the ALG, he found himself on the receiving end in June of this year of the very atrocities he once meted out (Brutal attack on ALG Church leader Pastor Peter Haneef and family in Bangladesh). 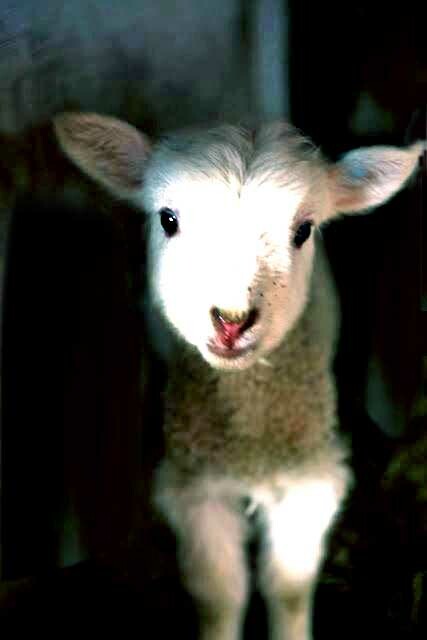 While that ended gloriously with, ultimately, the salvation of his main attacker (Boy’s dramatic dream of wounded lamb leads to salvation of his Islamic terrorist father), Pastor Peter is in fact still not quite completely recovered, so please pray for him as well. The power of friendship evangelism and healing prayers in the Middle East! Born into a large Muslim Arab family in the Middle East, Aslam Shukkoor* firmly believed the only way to live properly and make your way to heaven was to follow the strict rules of radical Islam. He devoutly practiced his faith and followed its teachings. He never allowed non-Muslims even to visit his house. He also made a good living owning date plantations and fuel stations. He and his wife had three boys and three girls, all well-behaved, intelligent children. When the oldest son reached 15, a mysterious illness struck. It began with fever and body pain, then progressed to severe weakness in his legs until he became completely bedridden. Aslam took him to several super-specialist hospitals, but doctors could not diagnose the cause of his ailments. Every treatment they tried failed, and within two months, the young man died. When the second son reached 15, the same disorder began to plague him. The imam of the local mosque told the family it must be because of an ancestral curse. 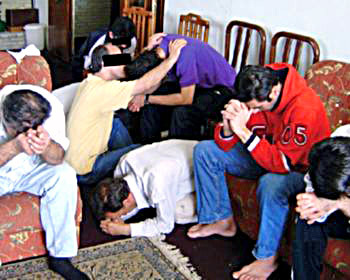 So they invited a number of famous Muslim priests to pray for the children and all in the household. But nothing improved. Someone suggested to Aslam that their house surely had strong demons living in it, drinking the children’s blood one by one. So they decided to move to an area far away. Several missionaries of Bibles for Mideast working in that region, on hearing of the tragedy in Aslam’s family, decided to go visit them. Aslam would have none of it. The missionaries attempted to leave a sample gospel with him. Yelling again, he grabbed it from them before tearing it to pieces and throwing it in a nearby waste basket. Aslam and his wife decided to take their second son, now in debilitating pain, to another country for, they hoped, better treatment. Unfortunately, he too died. Soon afterwards, they boarded a plane for the flight home, bringing their son’s lifeless body back for burial. Another Arab couple, who ‘just happened’ to be members of an ALG (Assembly of Loving God) church, sat across from them. They could easily see how distressed Aslam and his wife were—she weeping inconsolably and he trying his best to comfort her in the name of Allah. They obviously and palpably worried about their other children as well. The Christian Arab couple gently questioned them, and learned they were travelling home with the body of their second dead son. They sympathized and consoled in such a kindly way that the Muslim couple soon considered them trustworthy friends. Aslam shared all they had gone and were going through. The Christian woman related to them her own family’s unfortunate experiences and how the Lord Jesus Christ—through the prayers of Christian missionaries—had saved them. “If you believe in Jesus and pray in faith, he will certainly help you to overcome the problems. Our own lives are witnesses to that,” she assured them. She and her husband then shared the message of the gospel. Aslam and his wife grew increasingly irritated. In spite of the tension, the four remained friendly for the rest of the flight. The Christian couple helped the bereaved parents at the airport, and even accompanied them as they took their son’s corpse back to their house. The relationship continued to blossom as the weeks went on, discussions often centering on religion. The church couple naturally kept up their attempts to convince their new friends of the need for salvation. It wasn’t many months before the Muslim couple’s third son came down with the dreaded illness. The Arab Christians decided to visit them, accompanied by the same Bibles for Mideast missionaries Aslam had ‘thrown out’ few years earlier. Aslam recognized them but said nothing about it. He simply invited them within the gates of his property and offered them seats in the yard. The Christian woman they’d met on the plane went inside the house, where Aslam’s wife introduced her to her sick son and the couple’s other children. The woman again tried to explain the all-importance of prayer in Jesus’ name. Aslam’s wife then called her husband inside. She asked him to invite the missionaries in as well, and allow them to pray for the boy. He agreed! Once inside and before praying, the Bibles for Mideast workers related their own dramatic stories of moving from Islam to Christianity. All listened intently, and continued to as the missionaries went on to share the gospel. So of course the missionaries did. As they laid their hands on his head and prayed, the young fellow explained later how he felt a man’s hands gently touch his whole body. He also sensed a horrible smell leave his body and then, a beautiful aroma totally enveloped him. Finally, he caught a glimpse of the hands and saw what looked like scars in them. Immediately, all the pain vanished. He shook his legs and found them stronger. When he tried to put them on the floor, he found to his delight they worked! He began walking and running around as everyone else watched in amazement. Only moments later, all believed in Jesus as their personal savior and Lord. Since then, no sickness has come near that family. They now regularly attend an underground Assembly of Loving God (ALG) church and worship the Lord Jesus Christ in Spirit and truth. Please pray for them as well as all missionaries, staff and believers of Bibles for Mideast and the growing ALG churches. Mohammed finds Jesus in Mecca! Mecca! Mohammed shivered with excitement. To think he was really here, at the heart of Islam in Saudi Arabia, the birthplace of the great Prophet whose name he bore—the dream of a lifetime! Although Mohammed served as an imam (pastor) at his local mosque on the island of Sumatra, Indonesia, he had never before made a pilgrimage to Mecca, as all devout Muslims must do at least once. This first hajj in May 1992 fulfilled Mohammed's commitment to the fifth and last pillar of Islam. He went full of expectation that the trip would represent the spiritual climax of his life. 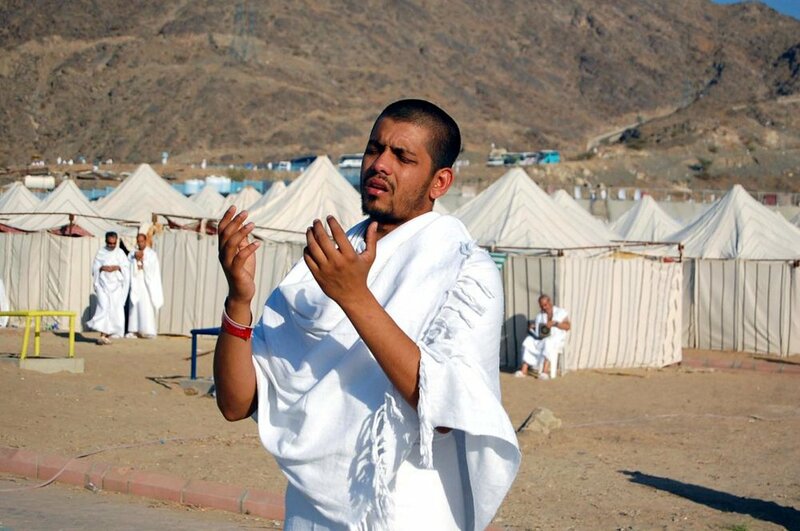 On his first day in Mecca, Mohammed signed up for a bus tour of some outlying holy sites. The next morning he arrived early for one of the many regularly scheduled departures, and he sat right behind the bus driver to get a good view out the front window. He was glad the coach did not fill up and seats nearby remained empty. The bus shifted into gear and headed down the road toward the city of Medina and the shrines they would visit. In Medina the Prophet Mohammed had established his theocratic state after fleeing a murder plot in Mecca in the year 622. With Medina more than 200 miles north of Mecca, Mohammed had plenty of time to strike up a conversation with the bus driver. Above the drone of the engine they exchanged chit-chat, using English as a common language. "Yes, this is my first hajj," Mohammed told the dark-haired driver whose face framed deep, penetrating eyes. "I'm from Sumatra, a Malay—one of the largest Muslim people groups in Southeast Asia." The driver swiveled his head sideways enough to see Mohammed. "You know, you really shouldn't have spent all your money coming here." Mohammed figured he had misunderstood. He leaned forward to catch the driver's words. "Excuse me?" "Coming here on pilgrimage is really a waste of money," the driver repeated unmistakably. "All the rituals seeking to get into Allah's good graces—when you stop to think about it, Islam is full of hypocrisies." Stunned, Mohammed could only listen as the man went on to point out issues he had never considered. For over an hour they conversed as the bus rumbled on through the desert. "The truth is," said the driver, turning to look straight at his passenger, "God wants to know you personally, as a friend, not just at a distance through rituals. Islam can't give you that kind of relationship." With their destination approaching, the driver slowed and downshifted to park at the site. Everyone disembarked, but Mohammed's head spun with new, unthinkable thoughts. In a daze he followed the tour group, yet now everything seemed confused. What did the driver mean? Where did he get such a perspective? How could I possibly run into a person like that in the Holy Land! After the tour Mohammed hurried back to meet the returning bus, eager to get a seat by the driver and resume their conversation. But when he boarded, he looked up to see the face of someone new. His spirits sank. "What happened to the earlier driver?" he asked the man behind the wheel. He got little more than a shrug in response. Mohammed found a seat and stared out the window. During the trip back to Mecca, his heart burned with the words of the man on the morning bus. He felt he could recall the whole conversation from beginning to end. Mohammed's hajj lasted more than a week, but the excitement and anticipation he had brought with him fizzled like air from a leaky tire. Everything he saw and did etched fresh questions and doubts into his mind. As he continued his pilgrimage, he scanned all the buses lined up at each tour site, but never saw his driver again. Back at home, Mohammed's family wondered why he had not returned bubbling with joy from his spiritual zenith. In the solitude of his thoughts he pored over the events of his hajj. He could not forget the driver's words or his face. Yet Mohammed's spirit grappled with perplexities. If Islam is not the true faith, what is? A few days later, Mohammed dropped by the home of a neighbor we will call A-Ching, a Chinese Christian, to borrow something. A-Ching welcomed him inside with customary Indonesian hospitality. As they chatted, Mohammed's eyes lit on something hanging from A-Ching's wall. There within a picture frame he saw the face of his bus driver from Mecca! Mohammed gasped, pointing to the picture. "A-Ching! Do you know this man?" "Yes, I do," came the reply. "That's Jesus. You know Him as Isa." Mohammed sat still as a stone. Isa! The second-highest prophet in Islam—the Christians' Messiah! Could it be ...? When he found his voice, he spoke up quietly. "I have a story to tell you, A-Ching." His neighbor, just as shocked at the tale, listened in silence. When Mohammed finished, he began to choke up, suddenly overcome with conviction of his sin. A-Ching explained the truths Jesus had declared about His own identity and purpose. "Mohammed, you can receive salvation as the free gift of God through Jesus Christ," A-Ching told him. "You can have a personal relationship with God." Mohammed prayed and committed his life to Christ. When he returned home, he gathered his family and spilled out the whole account. Awed at his story and his transformation, they, too, confessed Jesus as Lord and Messiah. A-Ching introduced Mohammed privately to the pastor of his local fellowship. Then, for their own protection, a network of believers spirited the new convert and his family to a safe house in another city where they could receive biblical teaching without risking retribution from angry Islamists. Mohammed's trip to Mecca indeed proved to be the turning point of his spiritual life. But he never expected supernatural revelation to come through his bus driver. This story has been excerpted, with permission, from Stories from the Front Lines by Jane Rumph. “Ih’dina Sirathwal musthakim” is the fifth verse of the first Surah of the Qur’an and it means “Guide us to the straight path”. There is a traditional saying that ‘sirathwal musthakim’ is a narrow bridge over hell to heaven, made out of seven torn pieces of a hair. The righteous can pass over the bridge without any trials, but the wicked will go to hell. Humanity does not see the Right Narrow Path, because it is hidden by Iblis. Also he tries to lead them into wrong, broad and worldly ways. But the Muslim world knows the broad path is not the right one to heaven, and prays to God to be shown the Right Path. The Qur’an declares in 19:21 that Jesus is a revelation for humanity and a mercy from God, and has been ordained. Jesus destroyed the head of Iblis, and opened the narrow door of Heaven. He says: “In this world you will have trouble. But be encouraged! I have won the battle over the world.” (John 16:33) Also He has given grace to those born of God so they can overcome the world. But still it is very sad to say and to see that the truth of the Gospel is veiled to those who are perishing. In their case, the god of this world has blinded their minds and spirits, to keep them from seeing the light of the Gospel of the glory of Christ, who is the likeness of God (2 Cor. 4:3-4). The Qur’an also says very clearly that Jesus, son of Mary, illustrious in both the world and the Hereafter, is one of those brought near unto God (Qur’an 3:45). So we may keep our duty to God and obey Jesus (Qur’an 3:50; 43:61). “Yet to all who did receive him, to those who believed in his name, he gave the right to become children of God" (John 1:12). Dear Muslim brothers and sisters, God doesn't want you or anyone to go astray. Believe in Christ Jesus as the Son of God, accept Him as your personal savior and Lord. Only then can you can freely and joyously enter into the Kingdom of Heaven through the Right Narrow Path which is Jesus. He is the Word of God (Kalimathullah—see John 1:1 and John 1:14); the Spirit of God (Ruhullah—see John 4:24 and 2 Cor. 3:17); and the Messiah of God (Massihullah—see John 4:25-26) who became a ransom for many (see Mark 10:45). Yes! Jesus is the Right, Straight, Narrow Path. He is, as He says, the Way, the Truth and the Life By faith in Jesus you can easily enter into heaven. GOD, HEAVENLY FATHER, I BELIEVE IN JESUS AS YOUR ONLY BEGOTTEN SON WHO CAME DOWN FROM HEAVEN, DIED ON THE CROSS, AND ROSE FROM THE DEAD TO GIVE ME ETERNAL LIFE AND SALVATION. I ACCEPT JESUS AS MY PERSONAL SAVIOR AND LORD. FILL ME WITH YOUR HOLY SPIRIT THAT I MAY WALK WITH JESUS MY LORD ACCORDING TO HIS WILL AND HIS COMMANDMENTS. AMEN! Bibles for Mideast Pastor Paul and many other Bibles for Mideast workers have turned from islam to Christianity. Please contact us via our CONTACT form if you have questions or would like further prayer. We would love to pray with and for you! Bible for Mideast missionaries in Uganda report that a Muslim man in their area, furious that his 10-year-old son had become a Christian, practically killed the boy in an attempt to force him to give up his new faith. The father first refused young Nassif food or water for three days. He then insisted the child both deny Jesus and recite the Islamic ‘fifth kalima’, which are words seeking forgiveness of Allah [apparently Muhammad recited this, also known as Astagfar, at least 100 times a day—Ed.]. But the boy boldly held onto his faith in Jesus Christ. "My father locked me in a room for three days,” Nassif told the missionaries. “Then he started beating me with sticks. I managed to escape to a nearby bush, but he followed me with wild anger and brought me back to the homestead. There he tied me up to a banana tree. He went back into the house and came out with a bigger piece of wood and beat me again. Then he set fire to the banana tree, which was full of dry leaves. That caused serious burns on my body." Neighbors rescued the boy and delivered him to a nearby hospital, where he is recovering. Nassif used to attend worship services at a church in another village. 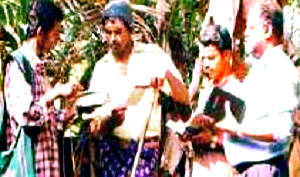 He had accepted Jesus as his personal savior and Lord only two months there, the church’s pastor told the missionaries. "Nassif remained behind at the end of the service one day, and then followed me to the pastry room,” he explained. “He told me he wants to have the experience of salvation." "I was a bit hesitant, but after he asked repeatedly I then prayed with him, and he left," he remembers. "I am a pastor. If anyone approaches me wanting salvation, I will teach that person and pray for them. It’s the Lord Jesus who is winning that soul." 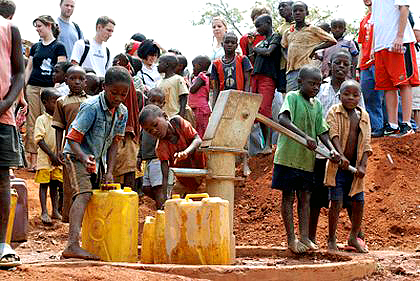 Uganda children safe in a Christian mission. Children are also persecuted for their faith. Evelyn Mulinde, another convert from Islam, gave her take on the issues in her country. "There are Christians and Muslims in Uganda,” she says. “The main point of contention between Muslims and Christians is that Muslims have yet to embrace the reality of freedom of worship or coexistence. Muslims always think that any person who doesn't believe like them is an enemy who deserves to be killed." Please pray for Nassif, his family, and the whole situation in Uganda.